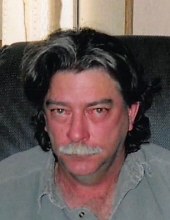 Anthony Jay Hart, 57, passed away Saturday, January 19, 2019 at his home in Simms, Texas. Jay was born November 17, 1961 in Texarkana, Texas to A. J. and Beth Smith Hart. He was a truck driver and member of Lighthouse Baptist Church of Simms, Texas. He was preceded in death by his parents; and one brother, Robin Hart. He is survived by his wife, Rose Marchand Hart of Simms, Texas; one son, Tyler Hart of Fort Meyers, Florida; one daughter, Amber Goble of Waynesville, Missouri; Three stepsons, Troy Hart of Simms, Texas, William Ludahl and Jeffrey Ludahl, both of Vancouver, Washington; one sister, Mitzi Hart Tidwell of De Kalb, Texas; two grandchildren, Jonathan and Aubrey Goble; and numerous other relatives and friends. Services will be 2:00 P.M. Friday, January 25, 2019 at Bates Family Funeral Home in De Kalb, Texas with Rev. Colton Fowler officiating. Burial will be at Woodmen Cemetery in De Kalb, Texas. To send flowers or a remembrance gift to the family of Anthony Jay Hart, please visit our Tribute Store. "Email Address" would like to share the life celebration of Anthony Jay Hart. Click on the "link" to go to share a favorite memory or leave a condolence message for the family.